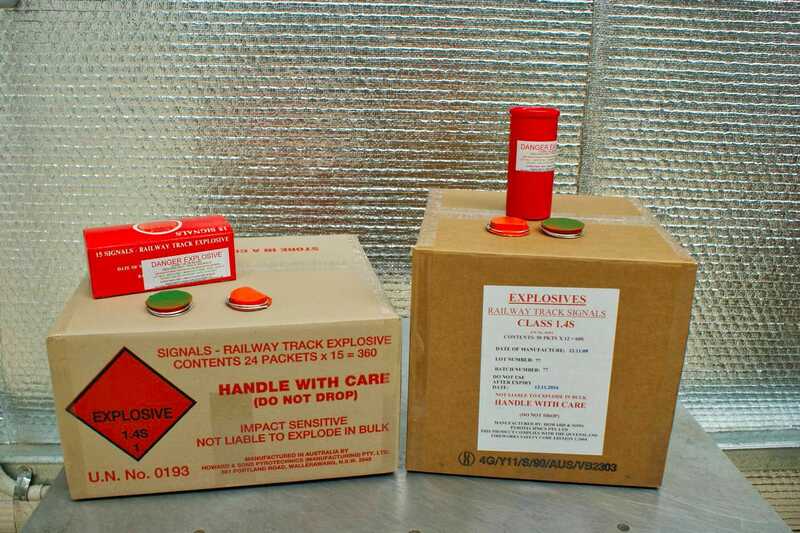 Howard & Sons Pyrotechnics manufactures railway track signals (RTS), an audible safety signalling device used by rail organisations in Australia and New Zealand. Railway track signals are sometimes referred to as ‘railway detonators’. This is a misnomer; RTS are not detonators and cannot be used as detonators. 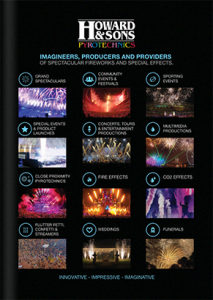 This type of manufacture might seem a strange choice for a fireworks company which specialises in pyrotechnic events, but for this particular branch of the transport system, we play a vital role. 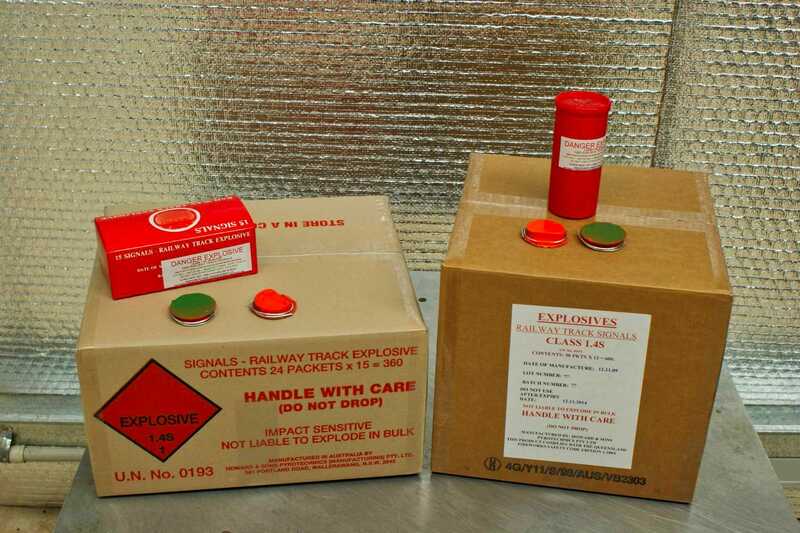 Railway track signals are classified as a Class 1.4S explosive, but this lower classification only applies if they are supplied, stored and handled in original Howard & Sons Pyrotechnics packaging. Our branding therefore stands for product safety. 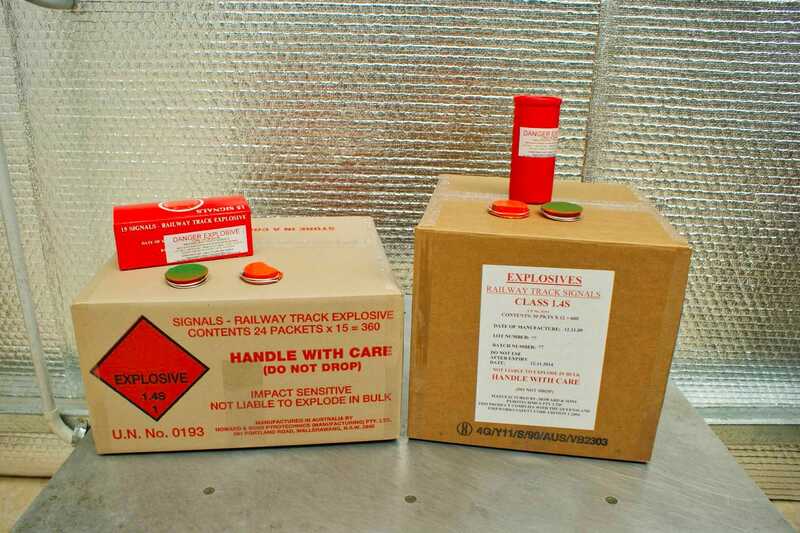 The packaging we have designed and tested means that should an accident occur, the explosive chemicals inside our packaging will have much less of an impact. It is illegal and dangerous to dispose of railway track signals by burning, disassembling, burying and the like, if you are not set up and licensed by WorkCover to do so. Download a Bill of Lading shipping paperwork blank template for the return of any expired or unwanted RTS units to Howard & Sons Pyrotechnics Manufacturing here. If the railway track signal is damaged and unfired content is exposed in a portion of the track signal, it should be treated as a misfire. Prevent access to the misfired track signal by unauthorised persons. No person shall approach the misfire until a time interval of 5 minutes has elapsed. Howard & Sons Pyrotechnics are to be advised immediately of all misfire events, including details of the Lot and Batch numbers, the date of manufacture and the date of expiry so that further investigations may be carried out. Download the NSW WorkCover Fact Sheet here.